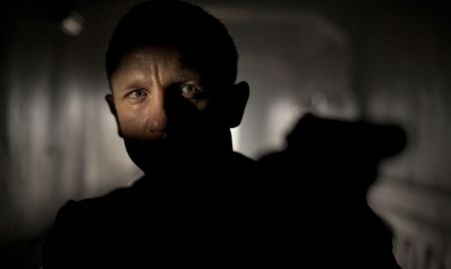 James Bond Skyfall – Daniel Craig films a daring stunt on a moving train! James Bond Skyfall – Daniel Craig performing a stunt. The train doesn’t go that fast, but it still looks quite dangerous. Daniel Craig and Valdimir Putin are definitely alike: they both got guts! From what I heard this scene should be the opening scene of James Bond Skyfall.